In The Hipster Handbook by Robert Lanham, the author talks extensively about wearing horn-rimmed glasses, carrying messenger bags and shopping at ‘thrift stores’ when deconstructing the term ‘hipster’. But we all know a razor-sharp hairstyle and an equally trim beard is the real essence of the hyper-ironic, post-modern, retro-chic cool cat. Tattoos are, of course, optional. We can’t help with the ink but we can point you in the direction of some quality hair and facial product from the boys at The Bluebeards Revenge. 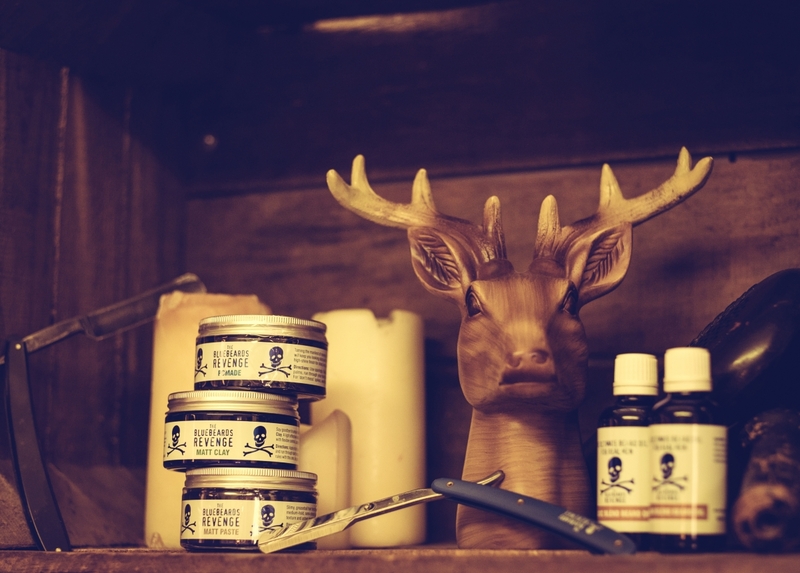 With the strapline “The Ultimate Shaving & Grooming Experience for Real Men”, this stuff is lovingly manufactured in the UK to offer a great finish on your mane and facial fur. But be warned, those who struggle to produce a fine set of whiskers from their cheeks and chin should probably look away now. “If you are a fully paid-up member of the Bum-Fluff Brigade then The Bluebeards Revenge simply is not for you!” exclaims the website. “We respectfully suggest that you try some of the foamy stuff you can get from any supermarket, as The Bluebeards Revenge is designed for Real Men”. But hang on, we thought Real Men cried at Rom Coms and enjoyed the company of puppies. We can’t keep up. It’s confusing being a modern chap. Regardless, the product is great. From pomades for the classic side-parted pompadour, to intense beard oils that carry a bouquet of sandalwood, the great outdoors and bear wrestling. 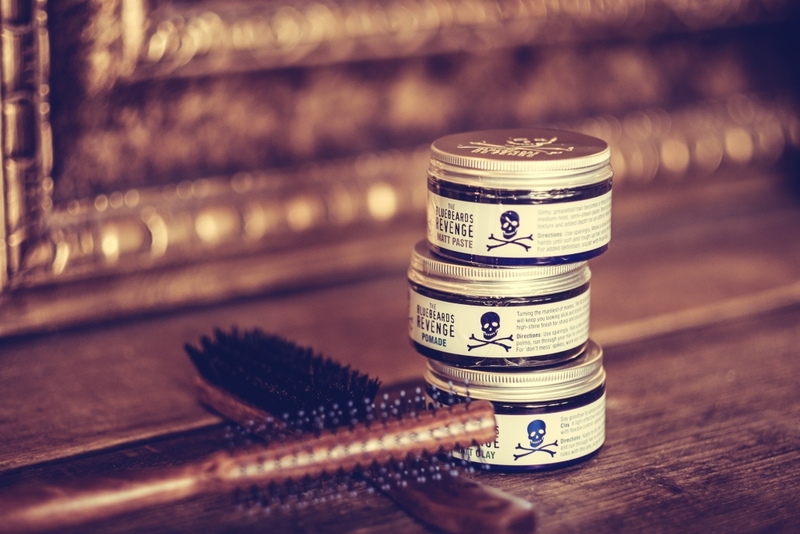 Plus, the range of post-shave balms and creams (you pussies!) neatly calm the skin and smell pretty dang good in the process. 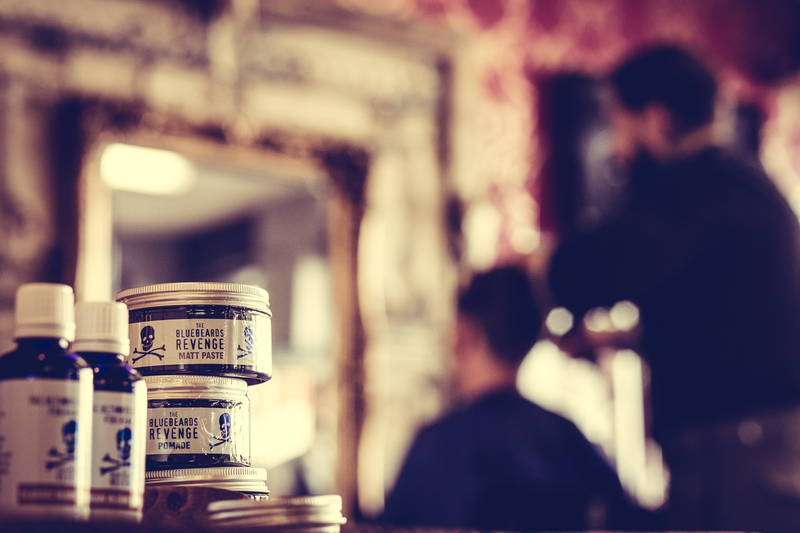 Peruse The Bluebeards Revenge catalogue and you can go hyper-manly by ordering a wood-handled cut throat razor, steel shaving bowl and other such antiquities that are as far removed from a Gillette Mach 3 as it’s possible to get.